Camilla Nestor is the CEO of MIX, the global data and information provider to the financial inclusion industry. Camilla brings to MIX twenty years of experience in banking and financial inclusion, with deep expertise in building new business models to reach the poor and impact investing. 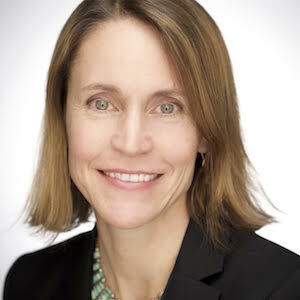 Camilla spent over a decade in leadership roles at Grameen Foundation, most recently as senior vice president of programs, driving innovative programming at the intersection of financial inclusion, agriculture and health. While overseeing Grameen’s impact investing arm, Camilla expanded the portfolio to invest in new sectors, including agriculture and emerging technology. Previously, Camilla worked at Citigroup executing debt financing for emerging markets firms. Camilla holds an MBA and master’s degree in International Affairs from Columbia University and serves as an adjunct professor at Columbia University’s School of International & Public Affairs. Mobile finance has great potential to serve the poor, but many existing services are not designed around their needs, behaviors and capabilities. New research from Grameen Foundation reveals simple usability fixes that mobile money providers could incorporate to help their products better meet the needs of the BoP, and reach scale and commercial viability.